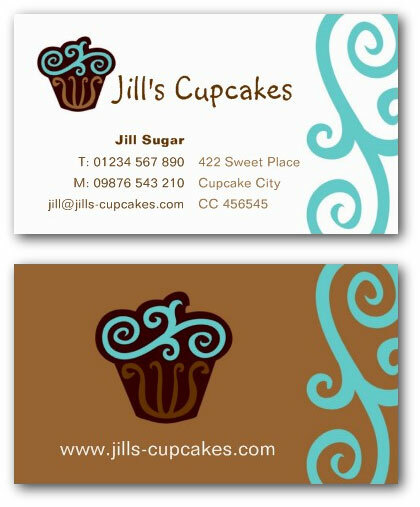 Ne14 Design has created the following business card templates suitable for a cupcake company, catering, cake or bakery business. You can customize each card online and place an order with our printing buddies at Zazzle - just follow the link at the bottom of the page. 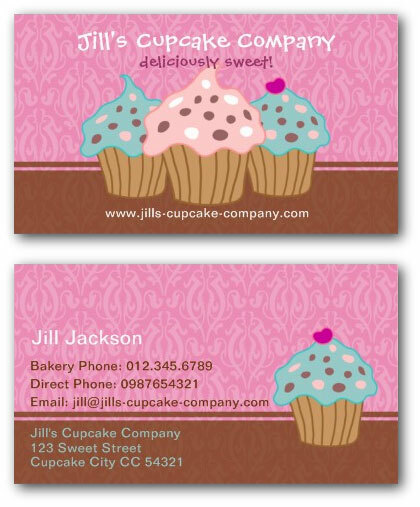 This pink cupcake business card has three cute cupcake illustrations on a stylish pink damask background. Fully customizable text to personalize for your own business. 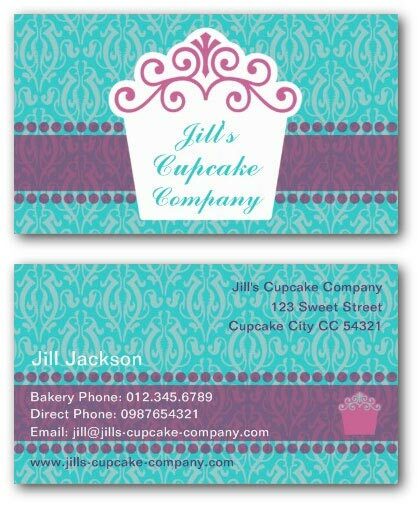 This catering business card uses a contemporary design with a cup cake logo in turquoise and brown. The front of the card is on a white background with all of your main details and the back of the card is brown with a place to add your website address. This cake business card uses a stylish design of a cake with embellishments representing the icing on the cake and a space for adding your business name. The background is a turquoise damask pattern with a purple ribbon. 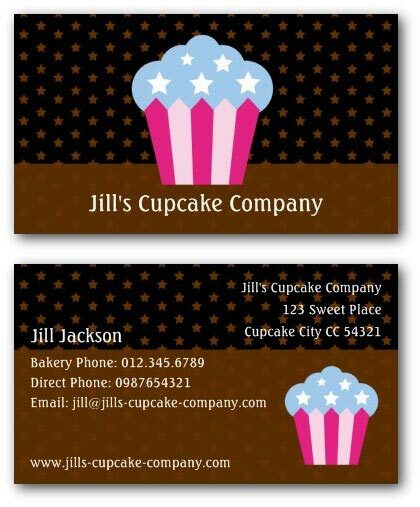 This bakery business card uses a modern cupcake logo with pink and blue stars and stripes on a dark brown background.